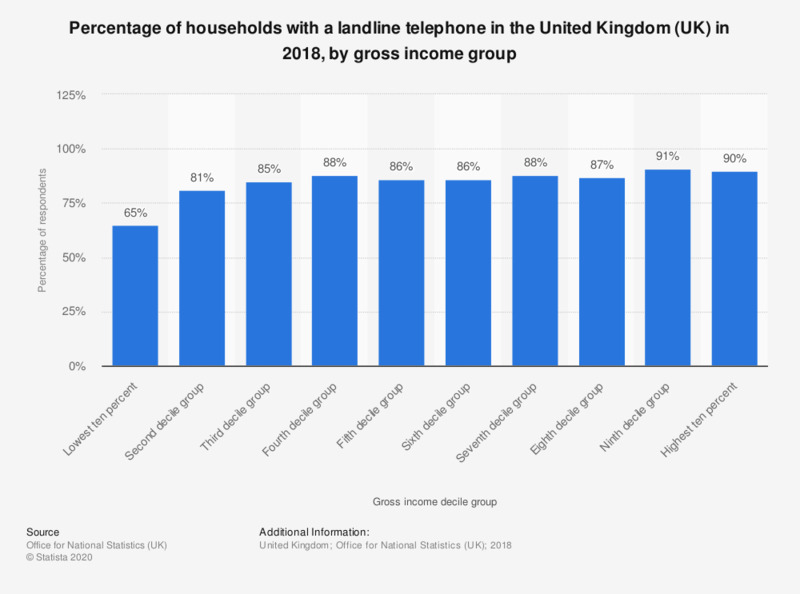 The statistic shows the percent of households in the United Kingdom that own a landline telephone based on their gross income decile group, from here on referred to as income group. The survey was conducted in 2018. In this year, 65 percent of respondents in the lowest ten percent income group owned a telephone. In the highest ten percent income group, 90 percent of respondents owned a telephone. It is important to note that this statistic excludes mobile phones.